There's nothing more exciting than getting real, actual, snail-mail. Especially if you're a two-year-old! 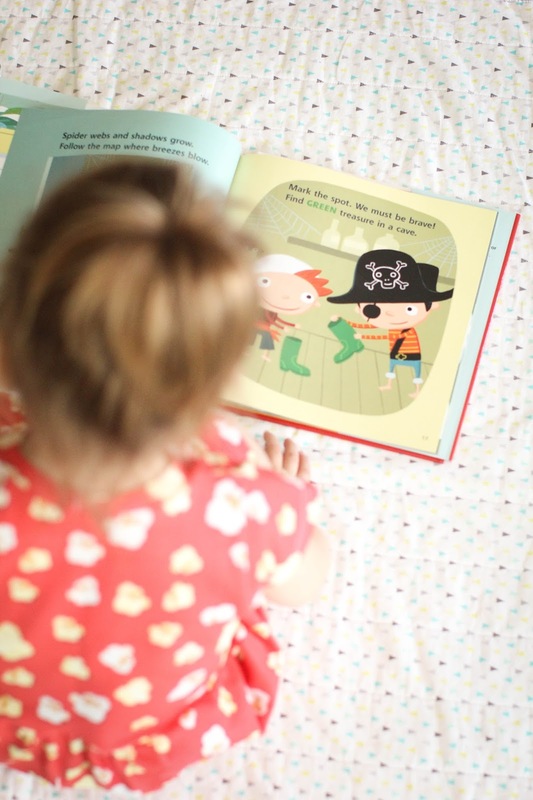 I recently came across Bookroo, a monthly children's book subscription service and I LOVE IT! 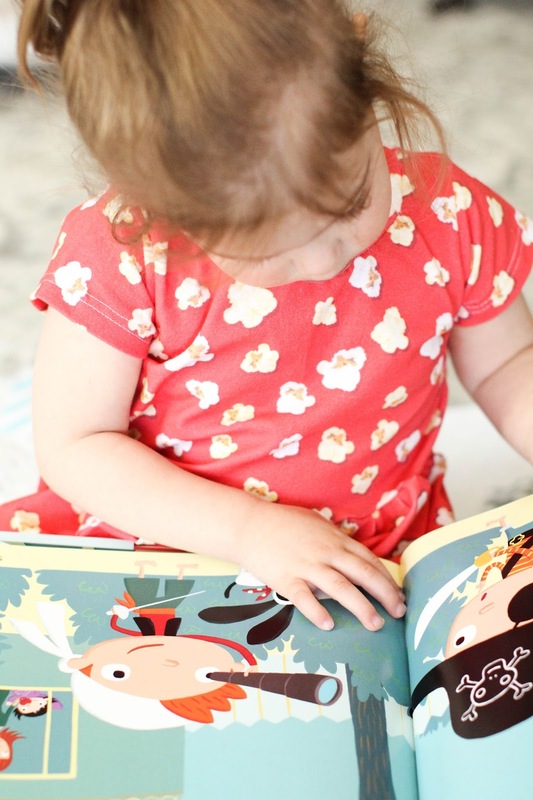 With Bookroo, you are able to choose either 3 board books, or 2 picture books, depending on your child's age(s). You then choose how long you want your subscription; 1, 3, 6, or 12 months. The combined retail value of the books always exceeds the monthly subscription price, so you know you're getting a good deal! 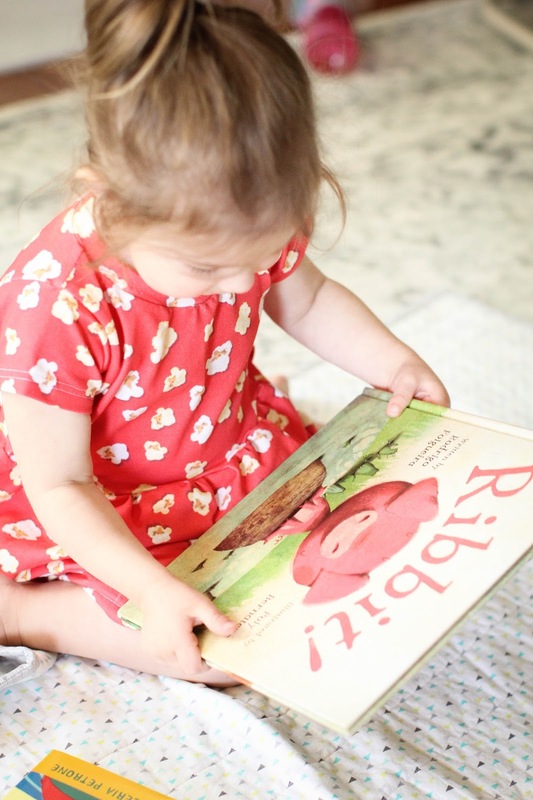 Saydee's now at the age where she loves to sit down and read a book, and I love getting to share that special time with her. 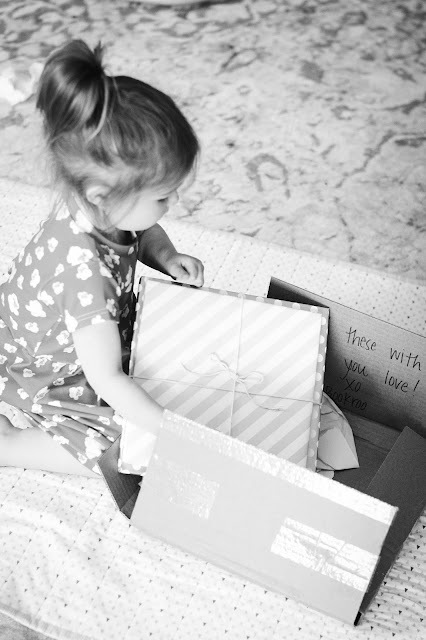 She absolutely loved getting her first Bookroo box this month! 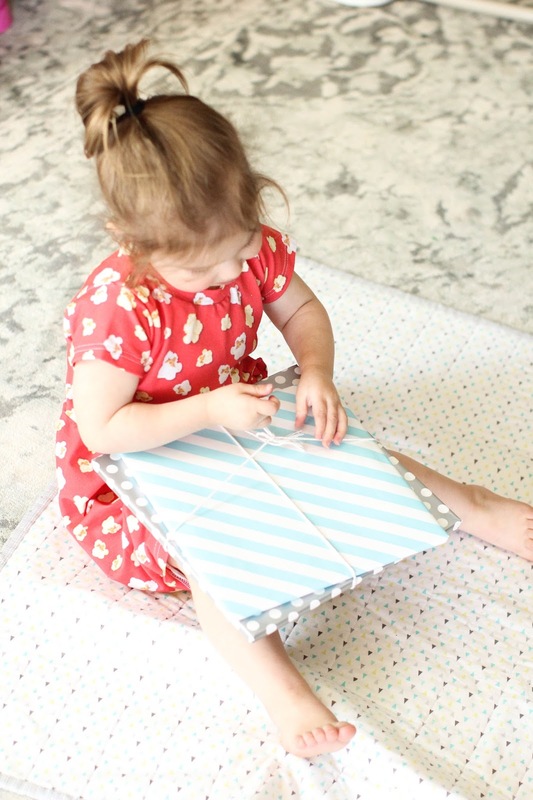 The books come wrapped like presents and really, who doesn't love presents?! 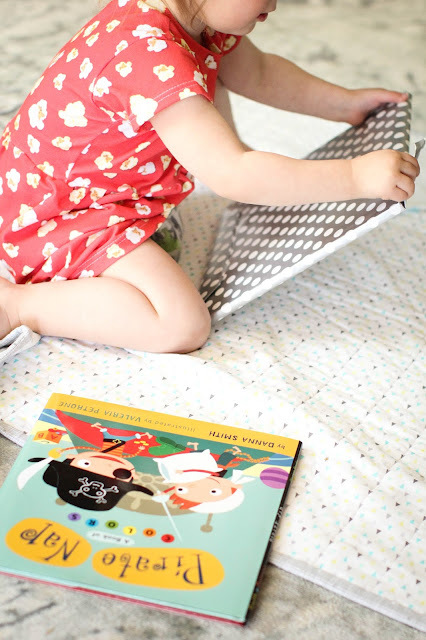 She had so much fun unwrapping her new books, and I loved that they were two books I had never heard of before. We're getting ready to pack for baseball season, and I'm so glad that I don't have to pack a million books this year! 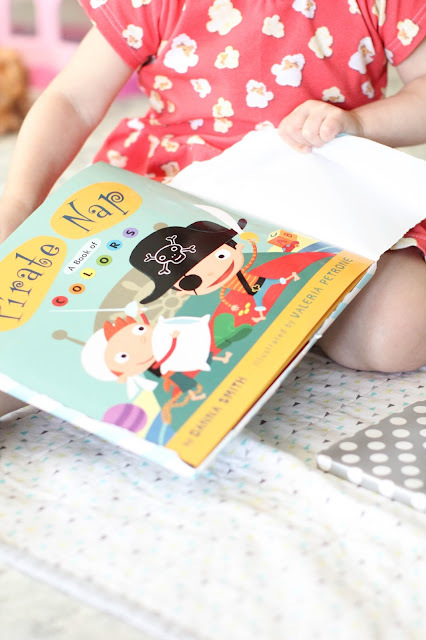 I'll be sure to keep you guys updated on the cute new books we get in our Bookroo boxes! 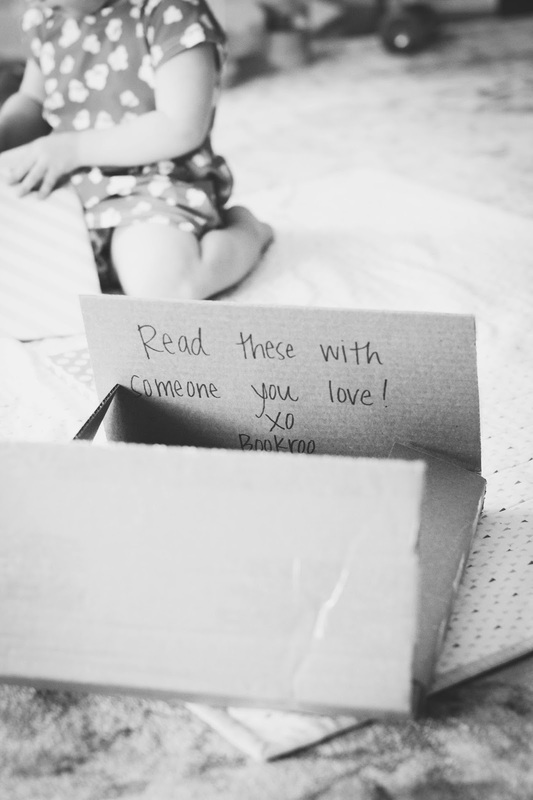 Bookroo has generously offered $5 off your first box to all of my awesome readers! Get your $5 off by clicking ---> HERE! Don't forget that you give can give Bookroo as a gift, too! Such a cute idea!